Visit the Westmonte Park Pool for a Dive-In Movie Night featuring the movie, Inside Out. All children under the age of 9 must be accompanied by an adult, and all children under 3 are FREE! 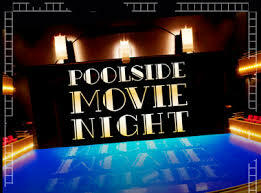 The pool will open at 7:30 pm, but the movie begins at dark. Don't worry, there will be movie concessions available for purchase if you're in the mood to snack! Check out the movie nights below for future showings.